Meet The Graduate Buttoned Base, or as we like to call him - The Statesman. 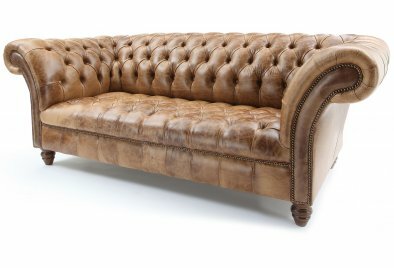 Now if there was ever a sofa fit for a king, this timeless Leather Chesterfield would certainly be it! He has a strong, solid hardwood frame and a properly sprung seat base which makes for good old fashioned comfort and support. 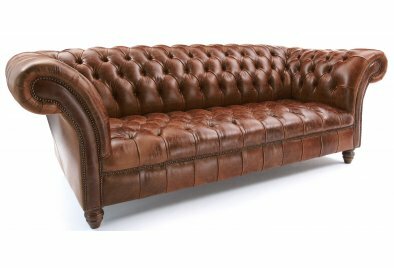 Deep hand buttoning all over gives this fine gent his noble air and his wide-flared, leather-piped arms with hand-studded fascias make him one of the most royally handsome Leather Chesterfield Sofas in the Old Boot family. 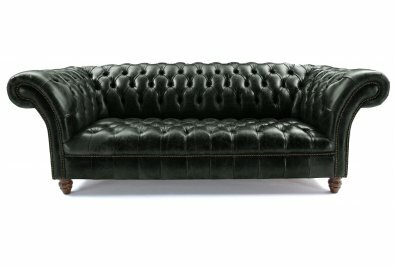 If you haven't met his twin The Graduate yet then you really ought to, he shares the same classic Chesterfield charm but has a bit more going for him in the cushion department.